Rotorua is a nice city in the Bay of Plent area of New Zealand. The area is famous for geothermal activity and every year thousands of tourists flock there to see the bubbling hot mud pools and the Pohutu Geyser. 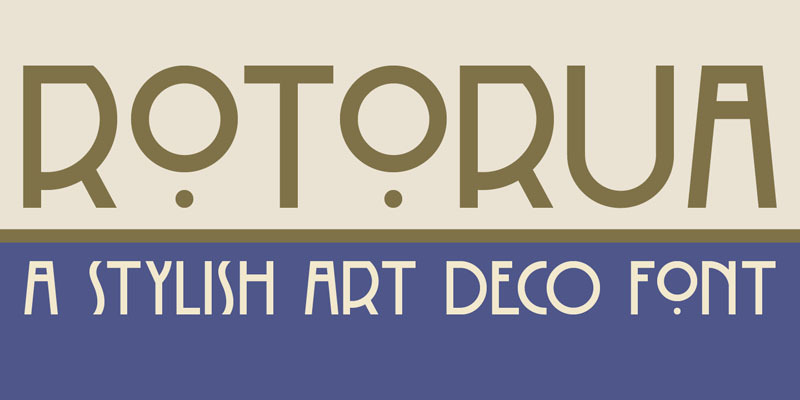 Rotorua font is a beautiful art deco typeface – with a twist. The font is all caps, but the lower case o, q and y differ. Rotorua comes with volcanic language support.